Did you just drive your misfueled car a few miles from the filling station? Or had you just realised how you’re jamming up an entire lane of cars in a petrol station since you filled your car with the wrong fuel? It might be time to call us, Fuel Expert, at 07720875212 we can save you from a difficult situation in 30 minutes or less. We’ll dispatch the crew nearest your location 24/7. 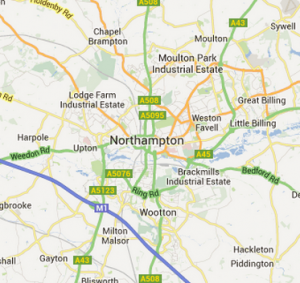 We provide our petrol in diesel removal services to any car wherever you happen to be located around the Northampton area. So far, we have received positive responses from the customers whom we have helped in the past because of our experienced crew and our use of the latest fuel removal equipment. Fuel drain Upton. A tearful customer was obviously relieved upon seeing our van 15 minutes after her call from Upon Way Connect. We calmed her down by talking to her about our process and eventually finished draining the tank of her Audi A4 in an hour. Fuel drain Weston Favell. Under the heavy rain, we drove over to Northampton Weston Favell Extra at about 8pm. A VIP’s driver misfueled the diesel limo and was concerned he might get fired, but before his boss asked for the car at 9pm, we’ve got the car running again. Fuel drain Milton Malsor. A fuel mix-up incident at BP could have ruined a family vacation if we hadn’t arrived on time because by then, the parents were already arguing. However, we saved their outing after draining petrol from their Ford Fiesta in 40 minutes. Fuel drain Great Billing. An elderly customer stuck at Billing Service Station was so impressed with our 40-minute work on her misfueled VW Passat that she planted a kiss on each one of us in the team. Fuel drain Wootton. We took a customer by surprise when we arrived 10 minutes before our announced time to save her poor Cadillac stuck on London Road. An hour later, we declared her driven misfueled car safe for driving again. Fuel drain Chapel Brampton. Our crew managed to relieve a customer’s embarrassment with pure humour when his Infiniti FX30d GT Premium fired up after 50 minutes of fuel draining work at Pitsford Road. Fuel drain Moulton. We got a school van running again after 50 minutes of fuel draining and flushing when the driver refuelled it with petrol and still drove it to the Moulton Magpies Football Club. Fuel drain Harpole. We found our customer’s Range Rover at High Street after it was refilled with petrol at the Kislingbury Service Station and driven over a mile before it broke down. Our crew took care of the engine in a little over an hour of pumping, draining, and flushing the system. Fuel drain Gayton. We dispatched our crew responding to a customer stuck in A43 to Banbury Lane in Gayton when another customer drove his Land Rover even with petrol in it. He said he chose us among two companies that remove the wrong fuel because we quoted him with a lower price than the other company. Fuel drain Little Billing. A customer drove her Citroen DS5 to her Little Billing home after refuelling at Esso Garage, but the car stalled because of its wrong fuel. We got it back on the road though after an hour of wrong fuel removal.